After commanding BHOD for the past two years, Colonel H. G. Hamilton will relinquish his command of the Depot in August and assume his new duties with the Far East Command in October. He will be succeeded by Col. Paul N. Wickens who, for the past three years, has been commanding officer of the Kansas Ordnance Plant at Parsons, Kansas, a post once held by Col. Hamilton in 1949 and 1950. Colonel Pau N. Wickens arrived at Black Hills Ordnance Depot Tuesday to take command of the installation, relieving Colonel H. G. Hamilton, who has guided the destinies of the depot for the past two years. Colonel Hamilton will assume his duties with the Far East Command sometime in the fall. The Depot's new commanding officer is a Hoosier by birth, a native of Greenburg, Indiana, but was educated in Ohio, and holds Bachelor of Science and Master of Science degrees from the University of Cincinnati. Following completion of the University's R.O.T.C. course, he was commissioned a Second Lieutenant, Ordnance Reserve, in 1926. In 1927, the young chemical engineer embarked on an industrial career, as a chemist and accountant, which lasted until he was called into active service in December 1940 at Fort Knox, Kentucky. He was given the post of Assistant Military Attache to the Embassy in Cairo, in November 1941, but was delayed en route by the attack on Pearl Harbor, which interrupted travel to the Middle East. Upon arrival at the Egyptian capital in 1942, his chief duties consisted of reporting on methods for tank supply, evacuation, maintenance of U. S. equipment furnished through lend lease, and on enemy equipment. Colonel Wickens was also responsible for obtaining captured equipment from the Middle East for shipment to the United States. For his service in the Cairo area he was awarded the Legion of Merit. Upon establishment of the Joint Intelligence Agency in the Middle East, Colonel Wickens was assigned to this important activity and remained with intelligence in that theatre until October 1944, when he returned to the States. His next assignment was to the U. S. Military Mission in Quito, Ecuador, where he was awarded Eduador's highest military honor, upon completon of his tour of duty. From March 1947 until the end of that year, he was with Headquarters U. S. army Caribbean in the Canal Zone and then became Military Attache at the American Legation in Managua, Nicarague. 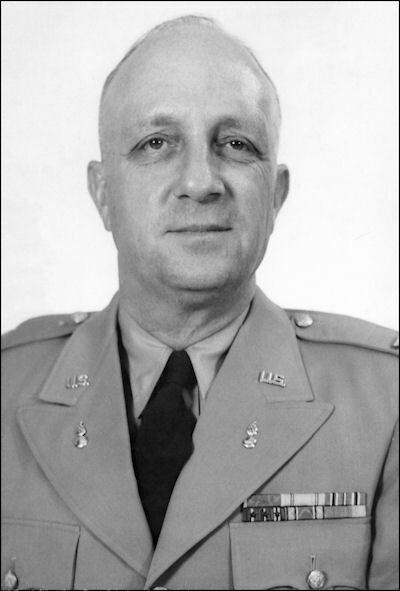 Arriving back in this country in February 1950, he became commanding officer at the Holston Ordnance Works, Kingsport, Tenn., which post he held for eight months until given command at the Kansas Ordnance Plant, Parsons, Kansas. The colonel has just finished a three year tour of duty at Parsons. Colonel and Mrs. Wickens have one daughter, Joan, age 14.